Ah the panyard....the little place where we can all come transport ourselves to the land of the sweet steel band sounds of the Caribbean. If only the weather could change as miraculously as our thoughts do when we come here. The Trincan Steel Orchestra calls Edmonton's Ortona Armoury "home". It is within the weathered walls of this historic gem of the city that the magic of the music comes to life under the command of Cecil George. 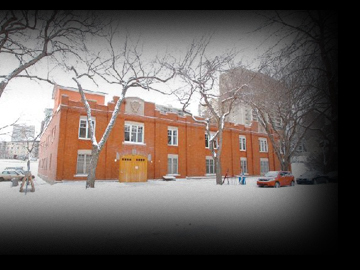 The Ortona Armoury began it's life in July 1914 as the Edmonton Stables. It is said that for a time the building was used as a barracks to house our valiant soldiers and, from 1924 to 1925 the building was the home of the Edmonton Pure Butter Company. The Armoury is now one of Edmonton's historic landmarks and proudly houses countless arts-oriented organizations including FAVA and the Global Village Film Festival in addition to many artist studio spaces.